Opening remarks on the HMH exhibit and movement with co-creators Andre Wright and Jason Sole featuring 1-night-only expanded exhibit throughout the entire museum. Snacks + drinks. 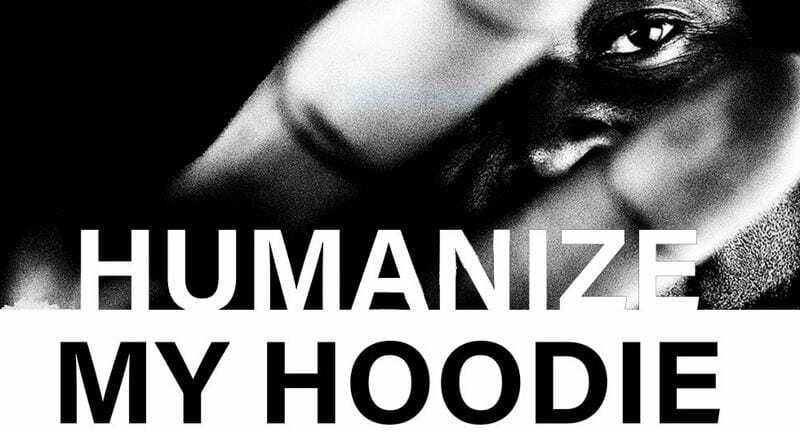 Join us in welcoming co-creators of the National Art Exhibit Humanize My Hoodie, Andre Wright and Jason Sole as they give a brief talk about their project and their journey. The HMH exhibit will be expanded from the gallery with extra pieces on display throughout the entire museum for 1-night-only. Having known each other since they were teenagers, the men reunited to work on the HMH project, pairing Andre’s background in art and clothing design with Jason’s teaching experience on social theory and philosophy to create the art exhibit, a private Ally Workshop, and a Community Screen Printing Workshop. Sole made a commitment a few years back to teaching a class at Hamline University in a hoodie for an entire semester after many years of only ever wearing a suit and tie, “The kids I teach will be in positions of power someday. Some of them already are. They’ll be police officers, correctional officers, they’ll work in law enforcement. Letting them see me as their teacher they trust all semester in a hoodie can change unconscious biases we all hold – it might save the life of someone that looks like me on the street.” Sole is a professor, the author of From Prison to PhD, and a regular national keynote speaker. The public is invited to join the museum in viewing the exhibit, learning more about the project, and to participate in a Q&A with Jason and Andre. Snacks and drinks will be served.